When production line machinery malfunctions, you lose money every minute the line is down. You may even fail to hit your output targets. It’s critical to repair electrical faults immediately, but people without proper troubleshooting training waste precious time trying to fix them by trial and error. They often replace costly parts unnecessarily to see if that will take care of the problem. Staff with quality troubleshooting training can resolve equipment malfunctions quickly and efficiently, minimizing your production line downtime, replacing only necessary parts, so you can reach your production and budget goals. 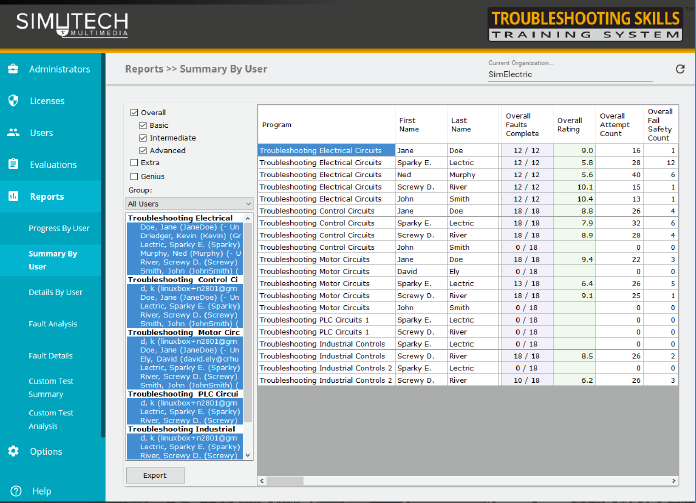 Simutech Multimedia’s Training System is a total, simulation-based solution that equips your maintenance professionals to troubleshoot the electric circuits, control circuits, motor circuits, larger electro-mechanical systems, and programmable logic controllers (PLCs) widely used in petrochemical manufacturing. Vast numbers of experienced workers are hitting retirement age and leaving the workforce, taking their experience with them. New hires have never been taught to troubleshoot electrical problems. 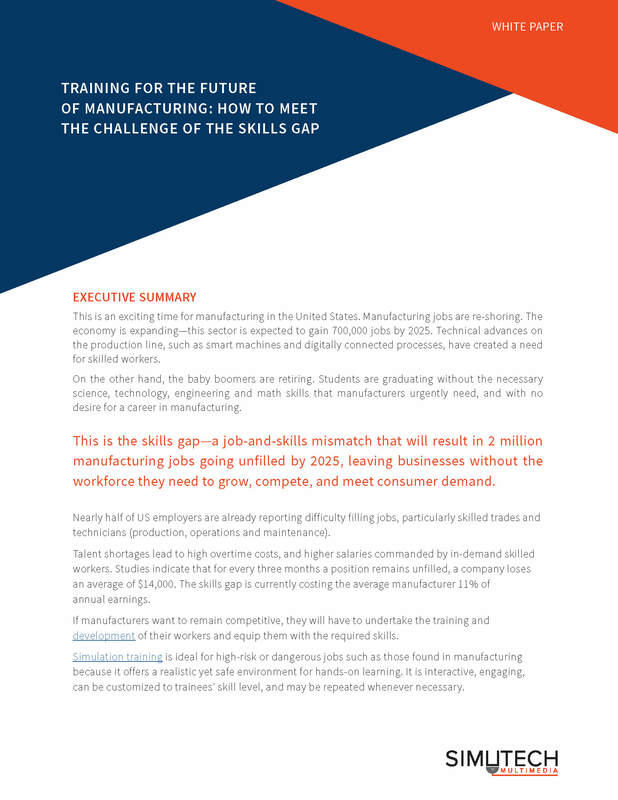 Older staff may be overwhelmed by the complexity of modern production lines. If you can’t find people with the skills you need, you can train them yourself with Simutech Multimedia. 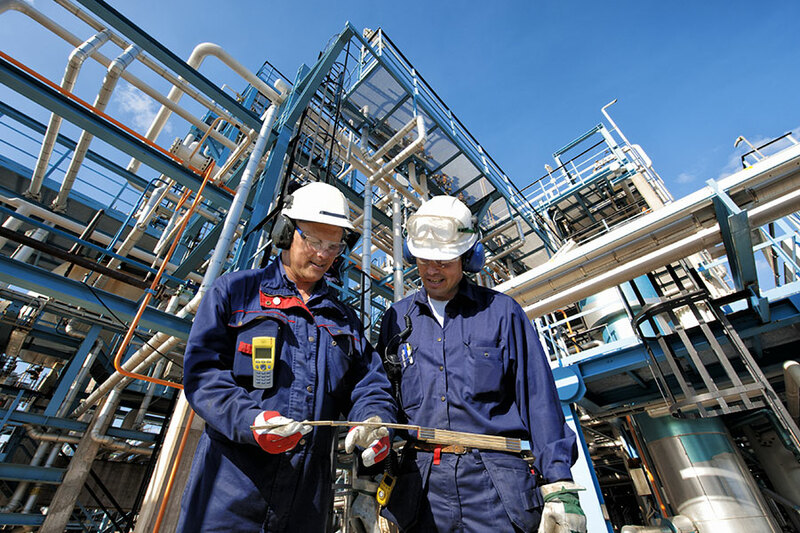 It’s a cost-effective way to learn a proven, systematic method for repairing faults in the electro-mechanical control systems used in oil and gas manufacturing. Simulation training has a lot of advantages over classroom training. It’s engaging, hands-on, completely safe, and can lead to better knowledge retention. Computer-based simulation training is far more cost-effective than physical simulation training. Simutech Multimedia is the industry leader in computer simulation electrical troubleshooting training. Simutech Multimedia’s Training System modules begin with electrical, control, and motor circuits, and progress to simulations of larger electro-mechanical systems used throughout the petrochemical industry, bringing your staff up to speed—fast. Administrators can use the powerful, web-based Admin Dashboard (Course Manager) to track employees’ progress anywhere, any time. Progress reports will show you which trainees are ready to go live, and which still need more practice, allowing you to make data-driven deployment decisions. Simulation-based troubleshooting training enhances maintenance staff’s understanding of the way production line equipment works, and teaches them industry best practices. Even during uptime, comprehensive troubleshooting training benefits your regular proactive maintenance programs, and may even decrease downtime incidents. Fewer equipment failures mean less overall collateral damage to machines, so they can keep on working for you. Enhance your Plant Reliability Downstream. Not only can downtime prevent you from reaching your production targets, it can negatively affect your plant reliability and cause ripples all along the supply chain. Simutech Multimedia’s Training System administrators know who the star trainees are, so they can be deployed strategically to keep production flowing smoothly. Maintenance professionals who know how to troubleshoot quickly and efficiently will keep your customers happy all the way down the pipeline. TSTS: A comprehensive training solution distilled into one convenient system. Simutech Multimedia’s Training System includes 6 interactive modules with software simulations ranging from basic electrical circuits to systems with PLC controls. With numerous realistic simulations and over 300 fault-solving challenges, it’s easy for your maintenance professionals to learn and maintain a proven troubleshooting process they can use time and time again.